As the aetheric energies of the Burning Man pour into the fragile bodies of mortals, some are remade into monstrous aberrations. Unable to internalize the magic inside them, it spills outward, warping their bodies until they are as much magic as flesh. 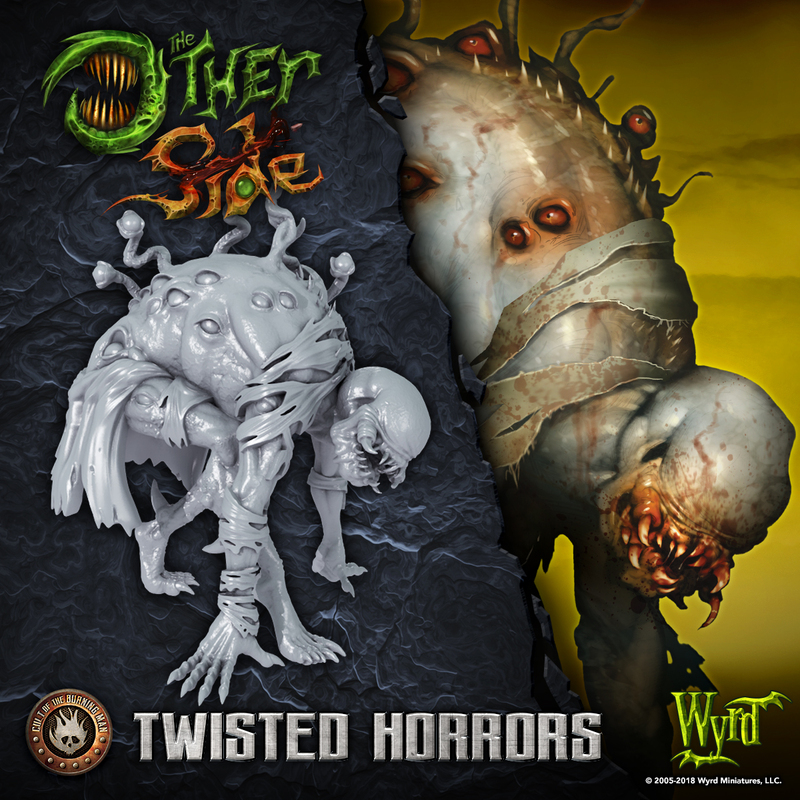 These Twisted Horrors have mutable forms that can withstand immense punishment, and their flesh has contorted to form living weapons. In moments of peril, their bodies can even unleash bursts of magic, causing them to be one of the most randomly dangerous forces at the Cult's disposal.